A great choice for adding bold, horseradish-like spiciness to salads and sandwiches. 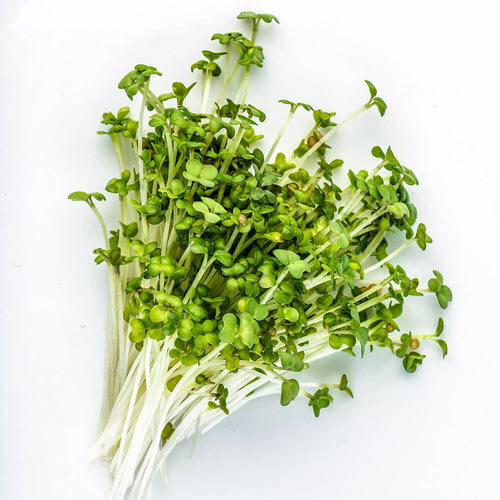 Organic Mustard Oriental Wasabi Microgreens are a source of protein and vitamins A, B6 and C. Eaten as young seedlings, microgreens are harvested just before growing their first true leaves. This easy-to-grow superfood can be grown indoors year-round. They're ideal for growing indoors during the winter when the outdoor garden isn't producing. For growing them, we recommend our easy-to-use Microgreens Growing Kit. 10-12 DAYS. Seed Count1 oz. per packet.